Large portions of the U.S. government are shut down, but espionage doesn’t wait for anybody. 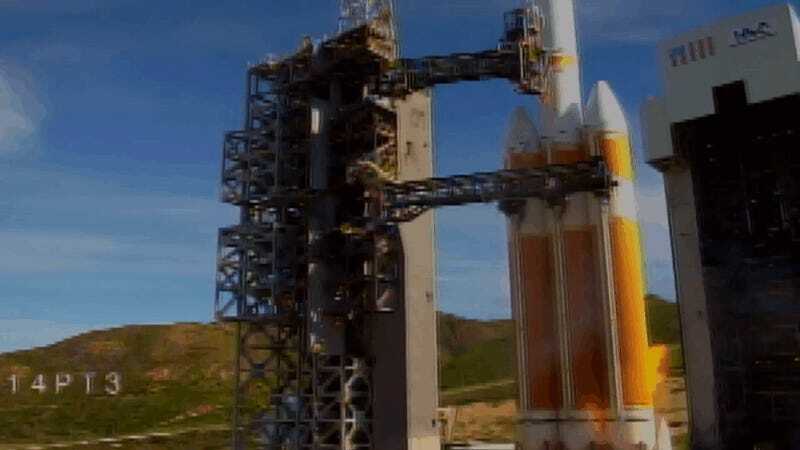 The U.S. military launched a Delta-IV Heavy rocket on Saturday from Vandenberg Air Force Base in California, but its payload is a mystery. Why? Whatever America just launched into space is for the National Reconnaissance Office (NRO)—the military and intelligence community’s eyes in the sky. As the Associated Press notes, this mission, called NROL-71, has been delayed time and again. First it was cancelled on December 7 and 8, 2018 because of technical issues, then it was high winds on December 18, 2018, and finally they had to scrub the launch again because of a hydrogen leak on December 20, 2018. But this time they finally got it up. The 30th Space Wing has released a video of the launch, conducted at Complex-6 at Vandenberg, which is pretty damn cool. You can watch it on YouTube or in the embed below. As the Associated Press points out, the video feed cuts off prematurely, which is standard for any classified payload. So if you’re dying to know what’s inside, you’ll have to wait maybe 50-100 years. The NRO isn’t too excited about declassifying things, as we’ve seen many times before. Even NRO payloads that secretly went up with the space shuttle program in the 1980s haven’t been declassified. All we know is that they exist. And if you’re wondering why the launch seems so... firey, there’s a good reason for that. The fireball phenomenon manifests on the Delta IV Heavy rocket because of design differences between the RS-68 and the Shuttle main engines, and because the RS-68 fuel valve is open longer before the oxidizer starts flowing. Essentially, at engine start-up, only liquid hydrogen is running through the engine, because it is less chemically active than oxygen. So there you have it. We don’t know what just went into space and we don’t know when we’ll learn. All we know? It looks cool as hell.